The worm could hardly be more different from the scientists studying it. This is patently obvious. Caenorhabditis elegans is a nematode the size of a pencil point with a mere 959 cells. The cell count in the average human is roughly 30 trillion. Humans are capable of high reason (86 billion neurons). The worm — well, it wiggles (302 neurons). hearing loss or other genetic diseases that may yet be tied to related proteins. “transmembrane channel-like” proteins, known as TMC1 and TMC2, influence how neurons and muscle cells conduct electrical signals, said Xiao. Genetic mutations in one or both of the TMC1 and TMC2 genes can cause partial or total hearing loss in humans, although the mechanism had been unknown. The study by Xiao and his colleagues suggests that TMC proteins may act like an errant gatekeeper in the cell’s protective plasma membrane. Mutations of TMC will prevent a normal electrical signal, generated when hair cell sensory receptors in our inner ears respond to sound waves, from flowing through neurons leading to the brain. That means the brain is unable to interpret the signal as sound. 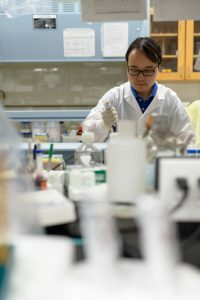 The type of hearing loss typically caused by mutations of these proteins is called autosomal recessive nonsyndromic hearing loss, which represents up to 8 percent of all genetic hearing loss, Xiao said. subject of zero gravity research on the International Space Station. means researchers can more quickly study successive generations. That makes the species especially useful for aging research. Yet, C. elegans carries about 19,000 protein-coding genes compared with about 35,000 for humans, and roughly 80 percent of the nematode’s genes are related to those found in humans. So by studying the worm, scientists hope to gain insight into the mechanisms behind human disease. Xiao and his colleagues were able to show that the mutations in the worm’s TMC1 and TMC2 genes largely prevented them from expelling eggs from its body. While the mutations’ impact on the species is different from that in humans — egg laying versus hearing — the principle is the same. The worm’s muscle cells can’t communicate with its neurons because the mutations have shut off the electric flow between them like a closed faucet, the researchers found. In fact, if the worm’s TMC1 and TMC2 genes are replaced by the same genes from humans or other mammals, the nematode’s defective reproductive system starts operating normally, indicating that TMC proteins might work in a similar way among different species. 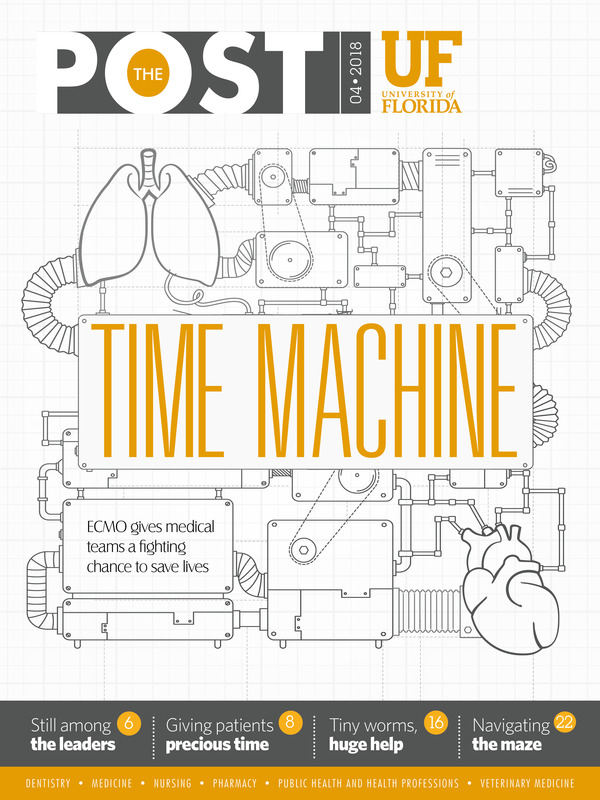 Xiao conducts research in the UF College of Medicine’s department of aging and geriatric research and also is a faculty member in the Institute on Aging. Additionally, he is an affiliated faculty member of the department of pharmacology & therapeutics. The study’s authors include Yi Sheng, a postdoctoral associate in the department of aging and geriatric research.